I ran 6.5km this morning before work, I’m definitely getting back into the swing of it, and thoroughly enjoying it. My knee is still playing up but doesn’t seen to be getting worse, so I’m hoping it’ll recover on it’s own. 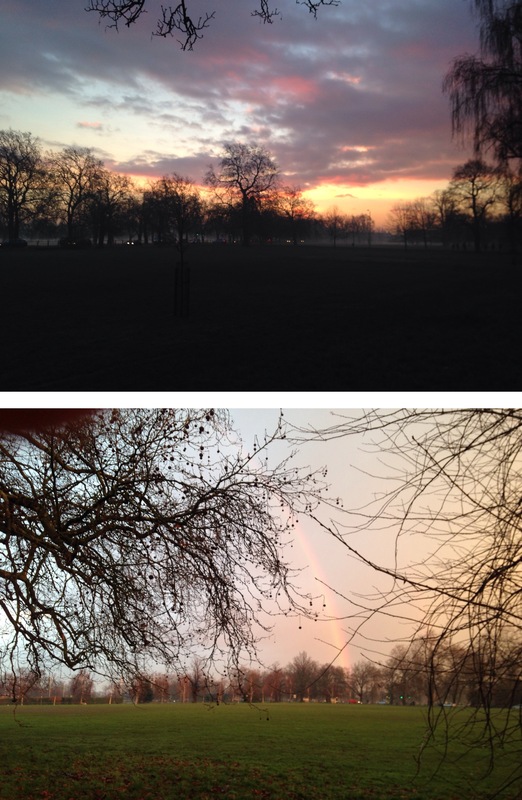 This morning’s run was glorious, it did start heavily raining at one point but it was very refreshing and then there was a large rainbow! Friday runs are the best. Chippy tea and wine with Alister before calling it a relaxing night.